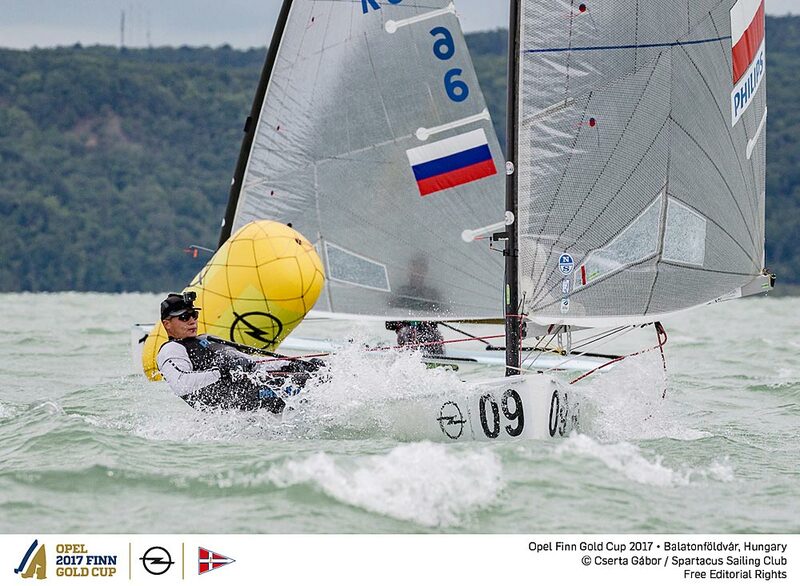 The day of reckoning will soon be upon the fleet at the 2017 Opel Finn Gold Cup at Balatonföldvár. At the end of registration 117 Finns have been measured and checked and are ready to race. Preparations are nearly over and the racing will begin after one more sleep. Who is ready and who is not? Cold and strong winds, as well as the overrunning class AGM kept most of the fleet ashore on Sunday, with only 15 or so heading out to sail the practice race in 15-20 knots. Most of the sailors did the first upwind before heading back to the shelter of the harbour. At the moment the gusts are still howling through Spartacus Sailing Club, though the forecast is for a slowly reducing wind over the next three to four days. As most of the sailors already know, forecasts change fast here, however hopes are high that the championship will begin on Monday with some good wind. The class AGM in the morning lasted a mammoth four hours, but with many important topics on the table, almost all the national delegates stayed until the end. 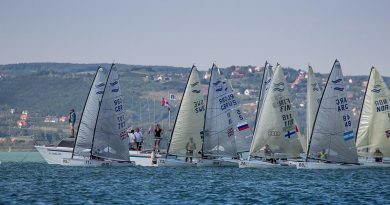 A major event strategy from 2018 to 2020 was discussed to align class events to the fixed circuit with venues to showcase Finn sailing at its best. More details will follow when bids and venues are firm. 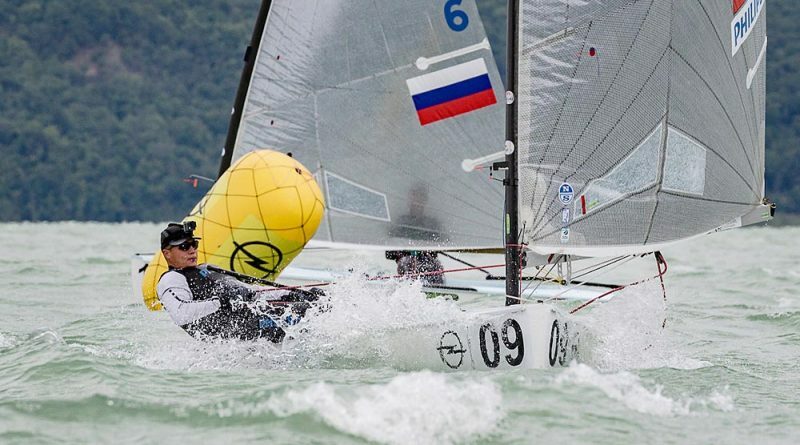 There was also lengthy discussions over race formats and class rules, including increasing the minimum wind limit for holding races and running the triangle course, dropping the wind limit for Rule 42, final day format and inclusion of the medal race. Discussions over enhanced media also generated a lot of interest and ideas, with new strategies being discussed for the coming years. More details on all the discussions and decisions will be posted at a later date. The first race of the 2017 Opel Finn Gold Cup is scheduled for Monday morning at 10.00. Follow the racing using the links below. 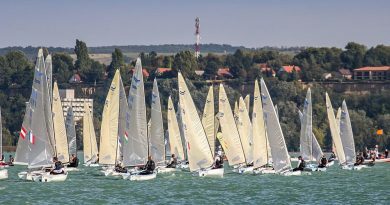 • 124 of the world’s best Finn sailors are taking part in the Finn Gold Cup at Spartacus Sailing Club in Balatonföldvár, Hungary. It is the highest entry for 35 years. 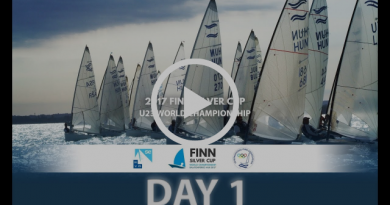 • The Finn Gold Cup was presented to the International Finn Association by the late F. G. Mitchell of the Royal Corinthian Yacht Club, Great Britain in 1956 and became the World Championship Trophy for the Finn Class. • 11 races are scheduled over seven days from Monday 4 September to Sunday 10 September, ending with a medal race for the top ten sailors after the opening series. Sign up to receive press releases and latest news here. High resolution images available from World Sailing’s image library here. VNR footage and interviews will be available for media organisations. Please contact Corinne McKenzie for access and specific requests at corinne.mckenzie@orange.fr.